Don’t know your E-flute from your B-flute, your SRP from your CDU? Have no fear, you’re not alone! Here at Dollard Packaging, we know we use a shed-load of industry terms at times but we’d like to demystify a few of them here. Below we listed the most commonly used jargon in the packaging industry – listed in alphabetical order so you can save for future reference. Talk to us if you come across any terms you can’t find here. B flute: B Flute refers to a type of corrugated board that gives extra strength and protection to the product. Normally associated with carton packaging of Games, Drinks, Electronics and some bulkier food products such as Turkey Crowns etc. Bleed: An image or colour that extends over the knife or crease of the designs being produced. Typically the bleed over the cutting knife is 3mm, in the case of bleed over the creasing rule it is determined the size and nature of the keyline being worked on. CAD: Computer Aided Design. 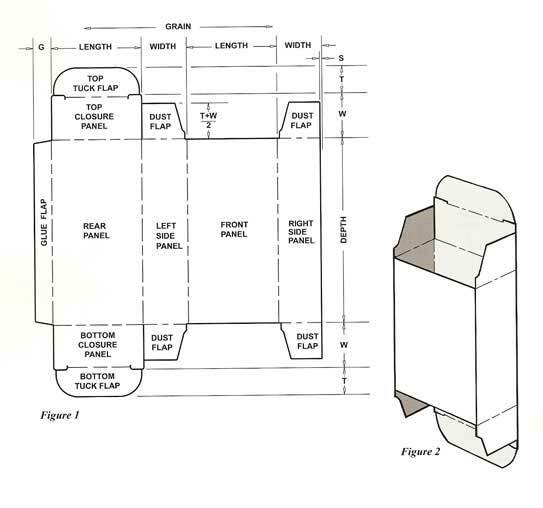 In the case of carton/sleeve design, this is the area where a keyline is generated and a sample cut out and presented to determine it is suitable for the product being packaged. Coated Boards: these are boards (cardboard) that have a substance applied to their surface to give a particular look – common examples are gloss, matt and silk finishes. Cutting Forme: A cutting forme is a series of sharp blades set into a wooden frame. 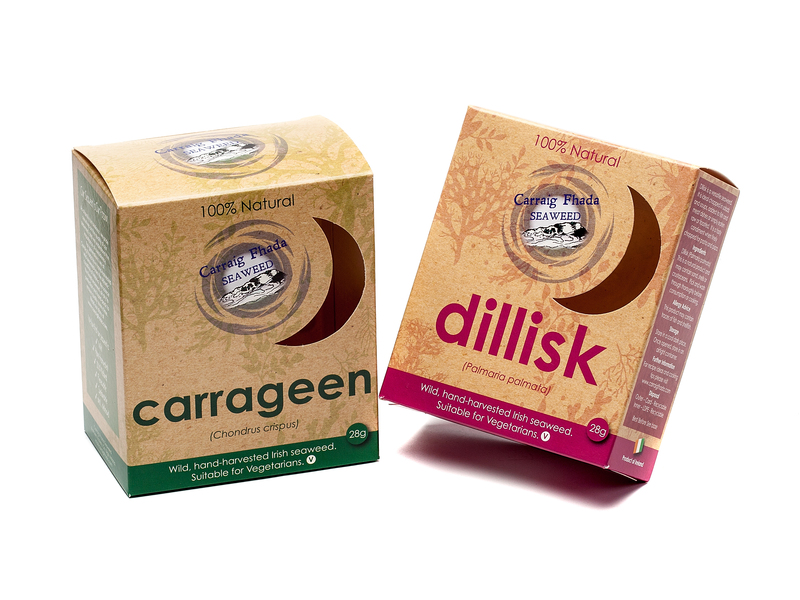 The blades are set into the shape of your packaging in accordance with the keyline, whether it is a carton or sleeve. 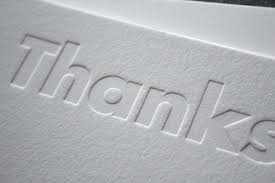 Cutting formes are made by specialist forme makers who supply the forme to us. The formes are set into our cutting and creasing machines which cut out your carton from the printed sheet. The forme also cuts out any “die-cuts” or windows that are in your packaging. Cut/Crop Marks: Marks on a printed sheet indicating where the carton or sleeve will be cut or trimmed to it’s final shape. CYMK: Term used to indicate standard process colours of Cyan, Magenta, Yellow and Black. Also referred to as ‘4 colour process’. Debossing: An after-print process where the printed or unprinted board is put through a machine which depresses a shape into the board from the outer face side. Decorative Finishes: The after-print processed used to enhance the final appearance of the carton/sleeve at the printed sheet stage. 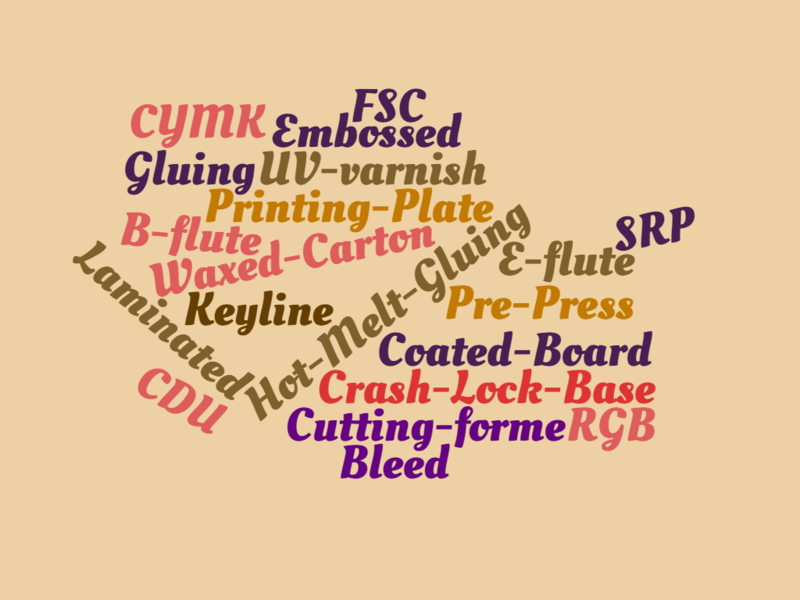 Emboss/Deboss, Hot Foil, Lamination and Spot Varnishing are some examples. Die-cutting: The process whereby individual cartons/sleeves are cut from the printed sheet to produce flat shapes ready for folding and glueing. E flute: E Flute refers to a type of corrugated board that has a finer flute than B Flute. Mainly used in individual packaging of items where a better compression strength than solid fibre board is required. 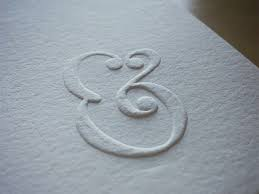 Embossing: The process where the board is put through a machine which presses a raised shape into the board from the reverse side. Foiling: Also referred to as Hot Foil, this is the foil which is applied after the print process. It’s metallic finish is used to enhance the final appearance of the carton/sleeve and is normally used for higher-end products. Hot Foil is available in many different colours with Gold and Silver being the most commonly used. FSC: Forest Stewardship Council. This not-for-profit organisation was set up over 20 years ago to, amongst other goals, ensure that only wood pulp which is certified as coming from a sustainable source are used in its FSC certified paper production. See https://ic.fsc.org for more information. Hot Melt Glueing: This type of glueing ensures a permanent and strong bond, ideal for cartons under stressful transit or cold storage conditions – such as Liquid Proof Meat and Seafood Boxes and Trays. Ink-free: These are the areas where glueing will be necessary and should remain ink and Varnish free for greater adhesion of the joined surfaces. Laminated: a thin film of plastic that is stuck onto the surface of the carton or board to give a more durable and water resistant surface. This film can be made from fossil fuel based plastic or plant-based cellulose. Litho Printing: This is the type of printing used at Dollard Packaging. 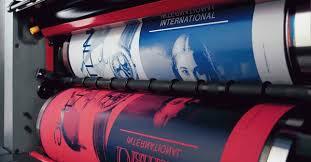 (also known as is Offset Lithography) It is most common in medium and high-volume, commercial printing technology. The image is burned onto a metal plate using a laser, which is then loaded onto the printing press. This image is then transferred (or offset) onto a rubber blanket and then onto the printing surface – be it paper, card or plastics. The process relies on the repulsion of oil and water; the image to be printed gets ink from rollers, while the water sticks to non-printed area so it doesn’t hold any ink. Nested cartons: cartons that are formed and stacked (nested) into each other when delivered to you. 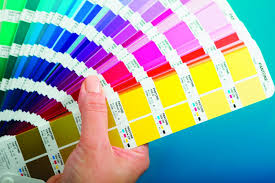 Pantone/PMS colours: Pantone Matching Systems is a universally recognised system of cataloguing colours so standardisation of colour printing can be achieved. Pre-erected trays and cartons: Pre-erected containers and trays are produced on a clamshell tray erector and supplied to the customer nested and ready for filling at the outlet, e.g. Popcorn containers for the Movies and Chicken Nuggets/Burger/Chip Trays for the Fast Food Sector and Fresh Produce. Pre-press: As the name suggests , this area covers all aspects prior to plates going out to the Pressroom. Receipt and preflight of artwork, presentation of PDF for customer approval, output of contract proof (GMG), imposition and output of plates are all carried out in this process. Press Pass: A press pass is an inspection of the colour and quality of a carton or sleeve while it is being printed on the press. Proof: Also known as a Contract Proof due to it’s colour fidelity, a proof is a print out of the approved design which will be used for colour matching on press of the cmyk colours and correct for content. In the case where Pantone colours are present, a Pantone Match Book will be used. Printing Plate: A printing plate is a thin sheet of metal on which the artwork or image appears. The printing plates are affixed to the printing press and the image is transferred from the plate to a rubber “blanket” and from there onto the sheet to be printed. What’s important to know is that one printing plate is needed for each colour – colourful packaging is usually printed in “4 colour process” so 4 plates are required. RGB: Used to transmit colour on monitor screens, artwork in RGB needs to be run in CYMK mode for producing artwork intended for Lithographic printing. Spot Colours: Often the term used when referring to Pantone colours – see ‘Pantone/PMS/special/brand colours’. UV Varnish: a varnish is a coating that is applied to a board to protect or enhance the board. It can be an overall varnish or applied to certain areas only. Areas of a carton or sleeve which will be lasered with variable information after delivery to you will be left unvarnished to allow the laser ink to be applied. 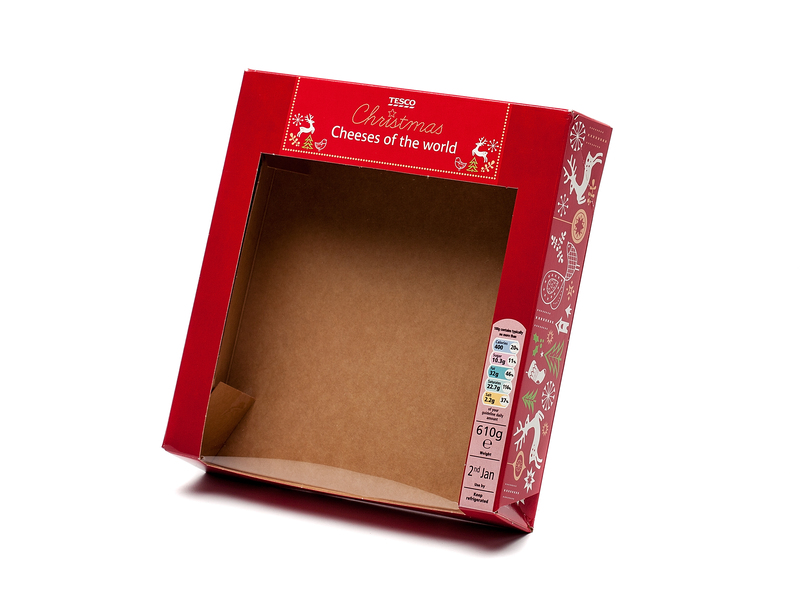 Waxed carton: This is a coating of wax which is applied to the inside of cartons – mainly applies to Ice Cream cartons but can also be used for other applications such as Cake boxes and Pizza protectors. Window patch: A clear, strong plastic film attached across the aperture in a carton to allow the product to be seen.